Describing the most desirable country houses on the market, agents often pick off the top selling points on their fingers: views, privacy, architectural purity, setting and a combination of the ‘trimmings’ (which can refer to a swimming pool, tennis court or outbuildings). It’s the condition or presence of these elements that make up the perfect package. They’re also proving popular as somewhere to house guests, adds Jonathan Bramwell of Prime Purchase, who believes the American trend for accommodating them under a different roof has arrived on British shores. The same is true of au-pair rooms: once they were confined to a small box room, but today, it’s preferable to give them their own space. The conversion of a coach house or outbuilding can cost as little as £150 per square foot, thereby requiring an investment of less than £100,000 to convert a 600sq ft barn into a two-bedroom property. Edward Sugden, who heads up the country team at Property Vision, advises that having good ground-floor accommodation with bedrooms appeals to the increasing number of buyers housing dependent parents. The challenge is securing planning permission on a listed property. ‘It’s significantly more difficult to obtain planning permission to convert a barn for residential use, as planning policy now dictates that all uses that may potentially generate employment must be explored and exhausted before permission will be granted,’ warns Property Vision’s Edward Heaton. 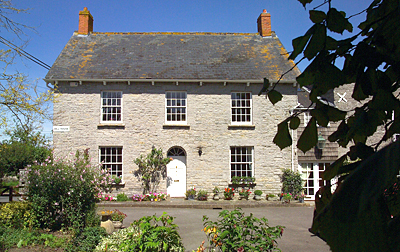 One of the council’s responsibilities is to explore appropriate new uses for historic farm buildings to avoid them falling into disuse, and it’s generally easier to obtain permission for tied accommodation to the main house, so aspects such as shared access and amenity space mean the building will lend itself well to some form of extra residential accommodation. Applicants will then have to accept a tying condition for it either to be occupied by staff employed by the main house or as a granny annexe.